Background: To analyze the local control of malignant lung tumors and survival of nonsmall cell lung cancer (NSCLC) patients after stereotactic ablative radiotherapy with CyberKnife. Materials and Methods: Patients with malignant lung tumors treated by CyberKnife between July 2007 and October 2010 at our institute were retrospectively reviewed. A total of 55 patients with 110 malignant lung tumors were included. There were 32 men and 23 women, and the median age was 67 years. There were 11 early-stage NSCLCs, while the other 44 patients with 99 lesions were metastatic lung tumors. The median gross tumor volume was 13.3 ml. Radiotherapy schedules include 40-60 Gy in 4-5 fractions, 45-60 Gy in 3 fractions and 30 Gy in 1 fraction. Results: The median follow-up time for patients alive was 34 months. The local control rates for all tumors were 96% at 1-year and 80% at 2 years. Univariate analysis demonstrated that target volume was important for local control. Biologically equivalent dose (BED) ≥100 Gy provided significantly higher chance to achieve a complete response than BED <100 Gy. The disease-specific survival rates for early-stage NSCLC were 80% at 1-year and 60% at 2 years. Treatment related complications were acceptable. No grade 2-5 adverse events were noted. Conclusions: CyberKnife can be used for NSCLC and metastatic lung tumors, either peripheral or central location, with good local control and acceptable side-effects. Background: Anemia and oral mucositis are main side effects of radiotherapy (RT) and are important factors affecting the quality of life (QOL) in head and neck cancer (HNC) patients treated with RT. 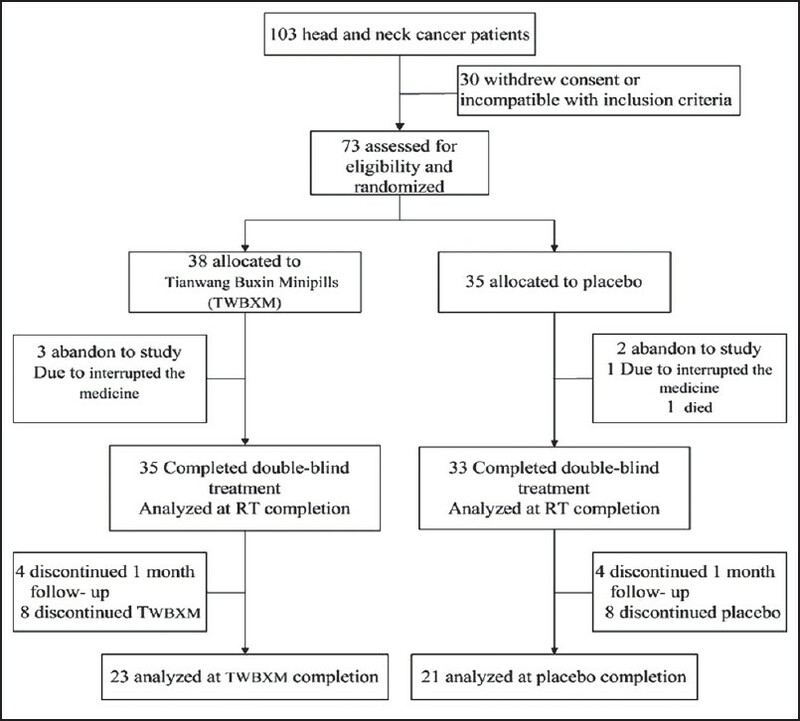 This study aimed to explore the safety and therapeutic efficacy of Tianwang Buxin Mini-pills (TWBXM) for the prevention of acute RT toxicity in HNC patients by using a randomized, double-blind and placebo-controlled study design. Patients and Methods: Seventy-three HNC patients participated the study. They were randomized into a treatment group (n = 38) and a control group (n = 35). All patients received daily either TWBXM treatment or placebo starting from the initiation of RT until 1-month follow-up after RT completion. All patients were evaluated for QOL, acute RT toxicities and laboratory data (hemoglobin [Hgb], white blood cell and platelet) at 3 time points: Pre-RT, upon RT completion and at TWBXM completion. Results: The TWBXM group maintained normal levels of Hgb during the duration of the study while the placebo group showed a decrease in Hgb (P = 0.035). Conclusions: This study demonstrated the safety and efficacy of TWBXM applied in the HNC patients receiving RT. 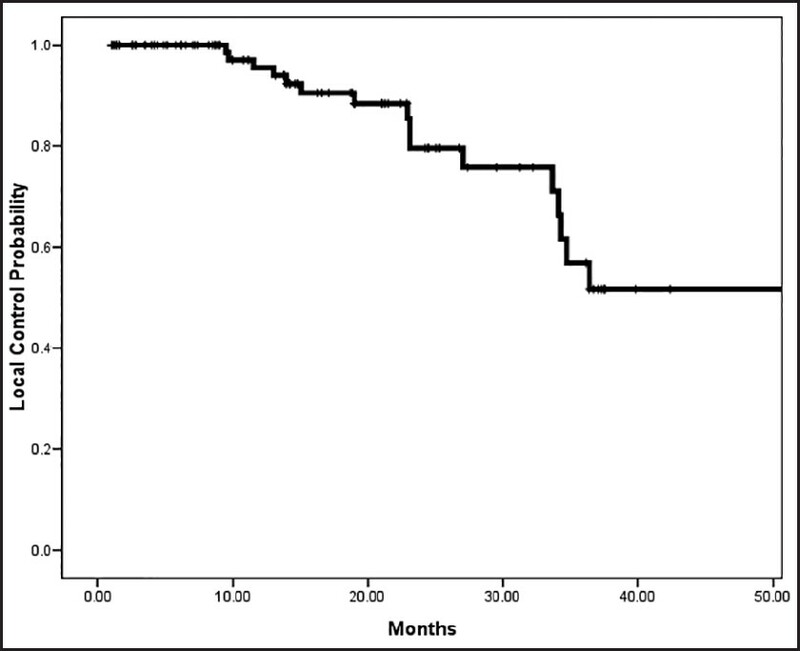 It prevented the decrease of Hgb in HNC patients undergoing RT treatment as well 1-month-post-RT treatment. Further studies are needed to assess the effects of TWBXM for the prevention of other RT toxicities. Background: Fracture of totally implantable venous access devices (TIVAD) is a rare but potential serious complication. We aimed to explore the risk factors for fracture at catheter of TIVAD via subclavian vein insertion. Materials and Methods: From January 2008 to July 2010 the records of 34 patients with fractured TIVAD were retrospectively reviewed. The comparison group included 170 randomly selected cases (5 for every patient with a fractured catheter) from 3919 cases of TIVAD implantations without catheter fracture. Variables associated with catheter implantation and the relationship between the catheter and the clavicle were analyzed. Results: Statistical analysis revealed implantation method, duration of implantation, brand of device, and port-clavicle distance were predictive risk factors for catheter fracture on univariate analysis. Duration of implantation >200 days and port-clavicle distance <2.5 cm were independent risk factors for catheter fracture on multivariate analysis. 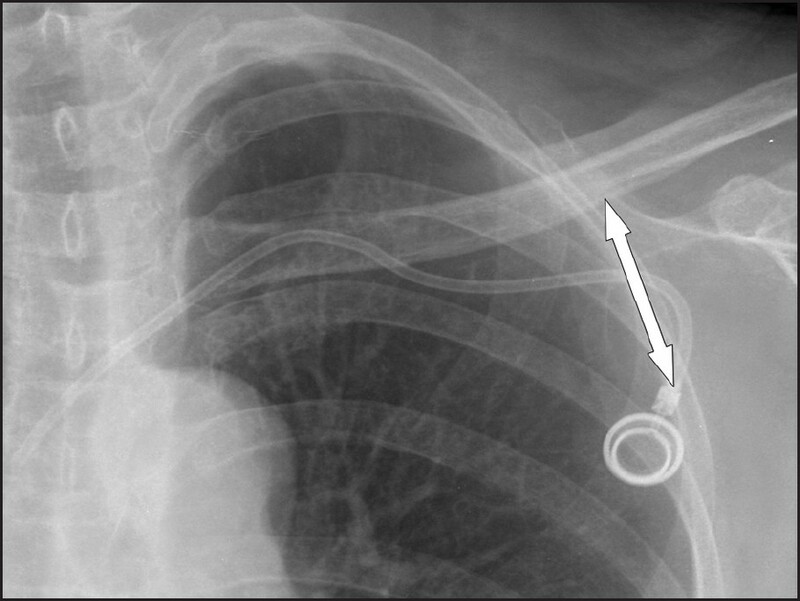 Stratified analysis indicated that a port-clavicle distance <2.5 cm in patients with duration of TIVAD implantation >200 days was associated with a significantly increased risk of catheter fracture. Conclusions: We suggested that TIVAD with a port-clavicle distance <2.5 cm could be removed to prevent catheter fracture when the implantation duration is more than 200 days. 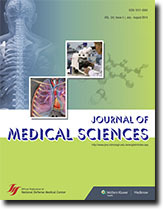 Background: Because deep brain stimulation (DBS) implantations and other stereotactic and functional surgical procedures require accurate, precise, and safe targeting of the brain structure, the technical aids for preoperative planning, intervention, and postoperative follow-up have become increasingly important. In this paper, we compare the outcomes of advanced Parkinson's disease (PD) patients at our center who received frame-based DBS surgery involving the use of a cross hair with those for patients who received the surgery without the application of the cross hair. A preliminary outcomes analysis is also provided. Methods and Techniques: Seventeen patients (10 male and 7 female; mean age: 64.8 ± 9.0 years) with advanced PD underwent frame-based DBS surgery, 8 with noncross hair and 9 with cross hair frame-based stereotaxy. After identifying the coordinates of the subthalamic nuclei, the DBS electrodes were implanted with or without crosshair application and connected to an implanted programmable generator in all patients. Programming started 1 month after the operation, and the patients were followed-upon regularly for at least 6 months. Results: After 12 months of follow-up, the patients who received DBS surgery showed improvements in clinical outcome, especially those in the frame-based cross hair group, which resulted in a significantly higher degree of improvement in both the "On" and "Off" states of the postoperative state (cross hair Unified PD Rating Scale [UPDRS] in the "Off" state : p0 reoperative: 82.3 ± 15.4 vs. postoperative: 37.9 ± 9.4; P < 0.001; UPDRS in the "On" state : p0 reoperative: 47.8 ± 13.6 vs. postoperative "On" state: 28.6 ± 6.0; P < 0.01, paired t-test). 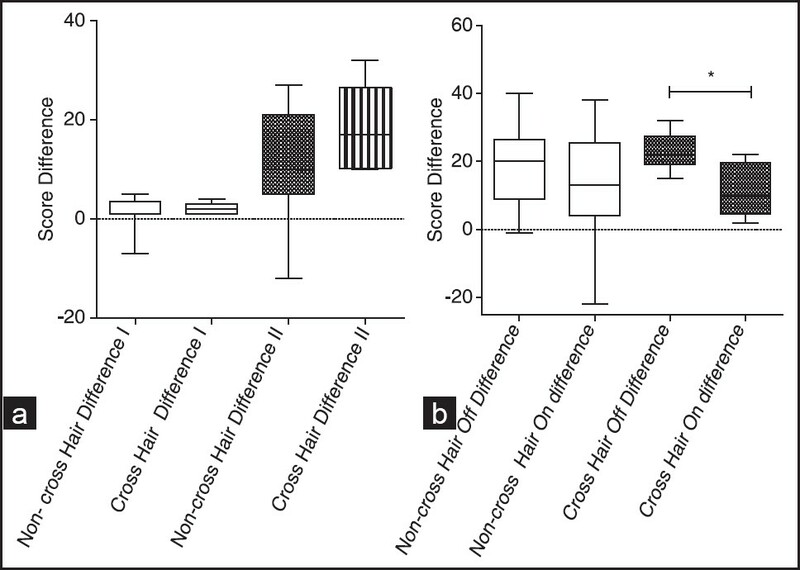 However, improvements were shown only in the "On" state of the noncross hair group (noncross hair group UPDRS in the "Off" state : p0 reoperative: 71.7 ± 16.6 vs. postoperative 48.9 ± 24.4; P < 0.05; "On" state : p0 reoperative: 55.2 ± 19.1 vs. postoperative: 42.6 ± 27.8; P > 0.05, paired t-test). Conclusion: Targeting accuracy can be increased by detailed preoperative planning and good facilitating equipment. Crosshair application with a frame-based system provides higher accuracy in the postoperative lead position survey and target deviation measurements compared with the preoperative planning image. Furthermore, the outcomes of the DBS group with cross hair application were better than those of the noncross hair application group. 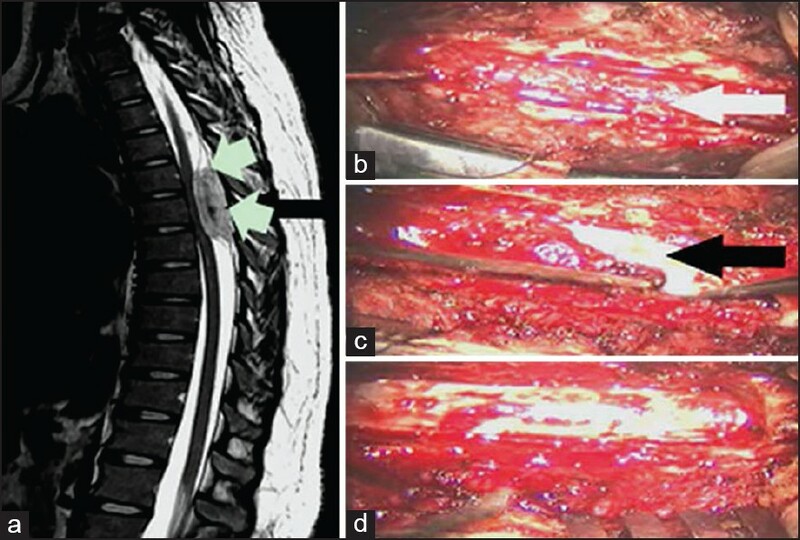 Spontaneous spinal epidural hematoma (SSEH) is a neurosurgical emergency that requires prompt diagnosis and treatment. 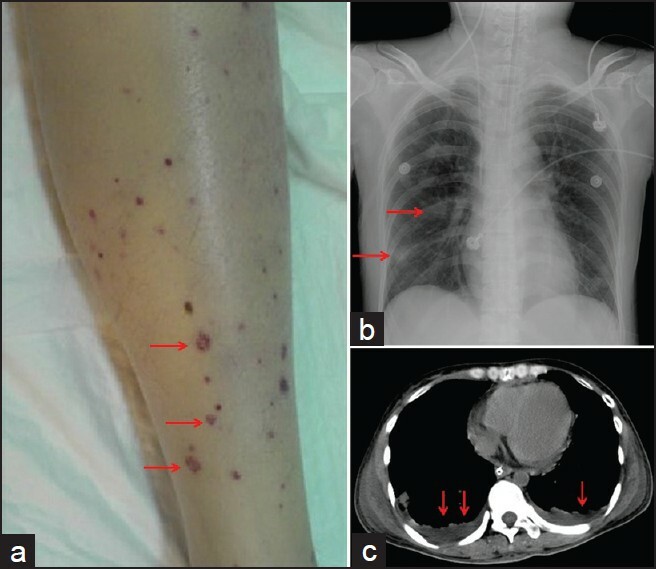 We report a 24-year-old woman who presented with acute onset of paralysis in both lower limbs and sensory disturbance below the fourth-thoracic dermatome. Spinal magnetic resonance image (MRI) revealed an intraspinal, extradural mass is extending from the fifth to the seventh thoracic vertebrae with compression of the spinal cord. Laminectomy of the T5 to T7 vertebrae was performed 12 h after onset. During the procedure, an epidural hematoma with hypervascularization and an abnormal vascular network were observed grossly on the dorsal dural surface. Postoperative angiography and MRI revealed complete resolution of the hematoma and no evidence of residual vascular lesion in the intra- or extra-dural region. At 6-month follow-up, the patient had regained full muscle power and sensation in the lower limbs. There was no evidence of urinary or stool incontinence. The patient had a history of remaining seated for prolonged periods of time, which may have elevated the spinal venous return pressure, resulting in spontaneous hemorrhage due to rupture of the spinal epidural arteriovenous fistula. This case report shows that patients with SSEH can have excellent neurologic outcomes if the condition is treated early with decompressive laminectomy. Staphylococcal toxic shock syndrome (STSS) is an acute, toxin-mediated febrile illness that rapidly leads to multiple organ dysfunction syndromes, and systemic lupus erythematosus (SLE) is a multisystem autoimmune and inflammatory disease. Differential diagnosis in STSS involved a number of common diseases associated with a wide range of nonmenstrual-related conditions, including SLE. Therefore, it is difficult to distinguish from each other initially. We report a case of concurrent fatal STSS and SLE who was treated as sepsis initially, which leads to grave prognosis. We herein describe a 48-year-old man who developed acute painful ophthalmoplegia of the right eye for 5 days. 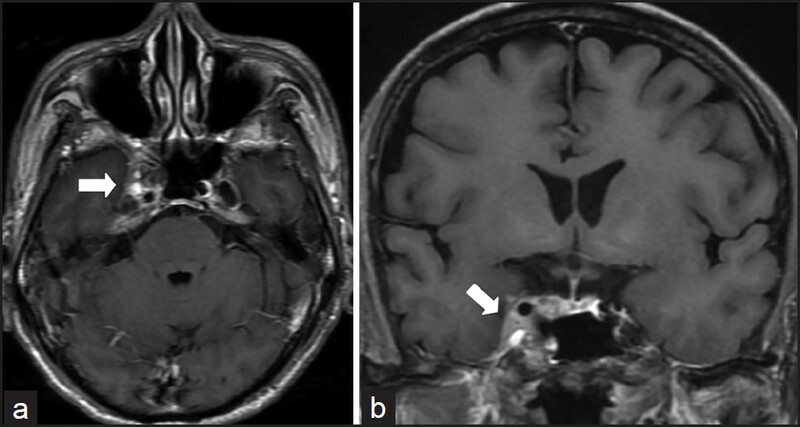 Magnetic resonance imaging of the brain with contrast detected a contrast-enhancing lesion in the right cavernous sinus (CS) and petrous apex. Tolosa-Hunt syndrome was suspected initially, but later he was diagnosed as CS metastasis from hepatocellular carcinoma (HCC). To the best of our knowledge, only nine similar cases have been reported in the literature. We would like to remind clinicians to consider the possibility of CS metastasis in patients with primary HCC, who present with acute painful ophthalmoplegia. Renal cell carcinoma (RCC) is a common aggressive genitourinary tract tumor and in which distant metastases eventually develop. It is known to have potential to metastasize to almost any site, but metastatic RCC to the duodenum is extremely rare. 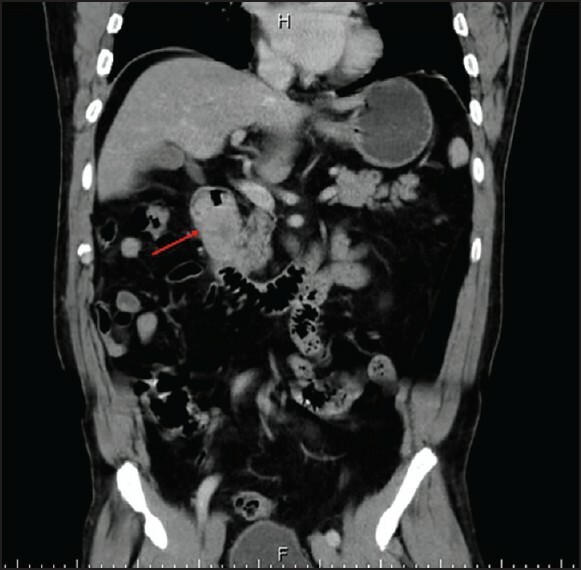 We discuss a 57-year-old male patient who had undergone a right radical nephrectomy 12 years previously and free of disease for RCC presented with a 3-days history of shortness of breath, fatigue, dyspepsia, black tarry stools, and generalized weakness. The diagnosis made from the biopsy specimens on upper gastrointestinal panendoscopy study was metastatic RCC in the duodenum. He underwent the surgical exploration for pancreaticoduodenectomy subsequently. He had an uneventful recovery with Sutent (Sunitinib malate) was used after surgery for adjuvant target therapy and there was no evidence of recurrence 6 months after the procedure. Uterine myoma is the most common benign gynecologic tumor worldwide. Mini-invasive surgery has become popular for myomectomy, with advantages over laparotomy. However, reducing blood loss during laparoscopic myomectomy is a major concern for the surgeon because of the limitation in making a quick control bleeding during the operation. Several methods have proved to decrease blood flow, but are not always effective or available. 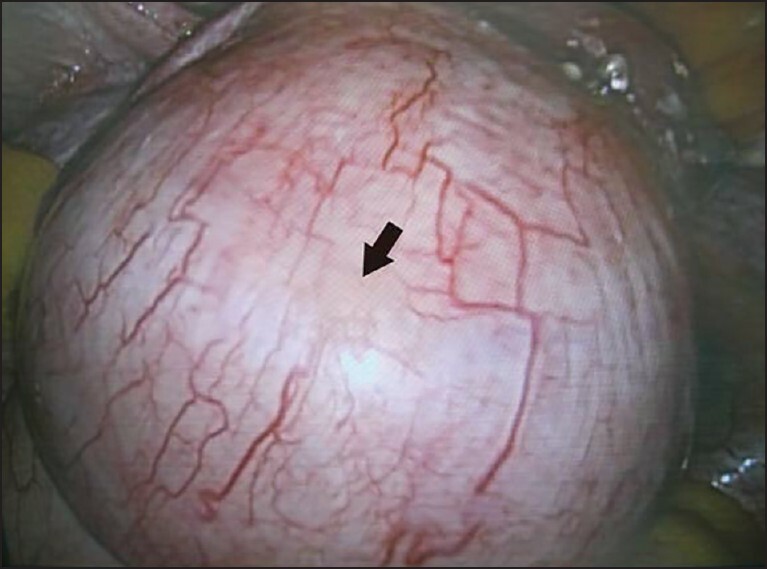 We present a case of uterine myoma with the uterine arteries clamped by bulldog clamps during laparoscopic myomectomy. The myoma was removed successfully with minimal blood loss (<50 ml) during the operation. This is an effective, safe, and reliable method for reducing bleeding during laparoscopic myomectomy that does not require ligation of the uterine artery. A 36-year-old male had congenitally corrected transposition of the great arteries (cc-TGA) with heart failure underwent heart transplantation. Due to the abnormal alignment of the great arteries in cc-TGA, the transplantation required technical modifications. When harvesting the donor heart, extra length of the pulmonary artery was preserved. The donor's pulmonary artery was cut at its bifurcation. 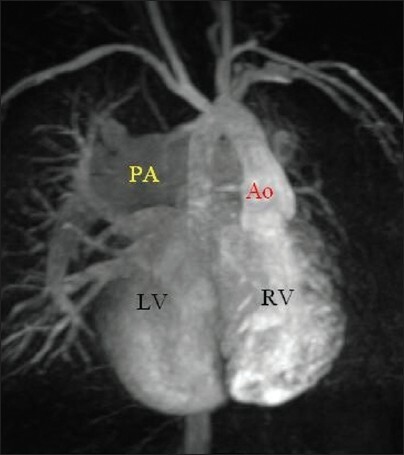 Anastomosis of the pulmonary artery followed anastomosis of the left and right atrium. Last, aortic anastomosis was performed. Preservation of extraordinary pulmonary artery of the donor's heart may be necessary to achieve an acceptable anastomosis. Heart transplantation for cc-TGA is technically feasible.